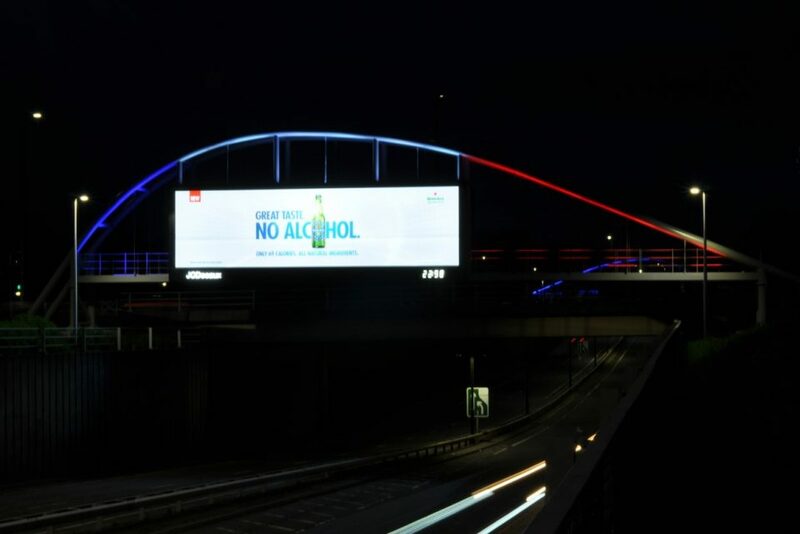 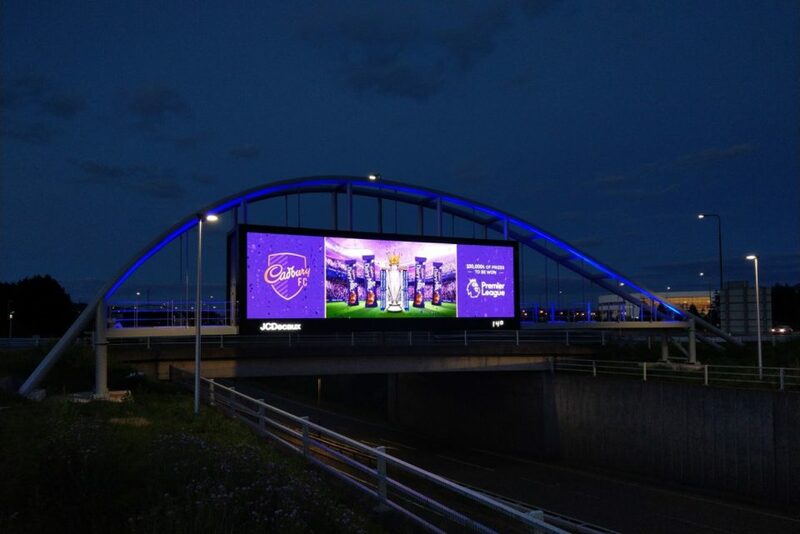 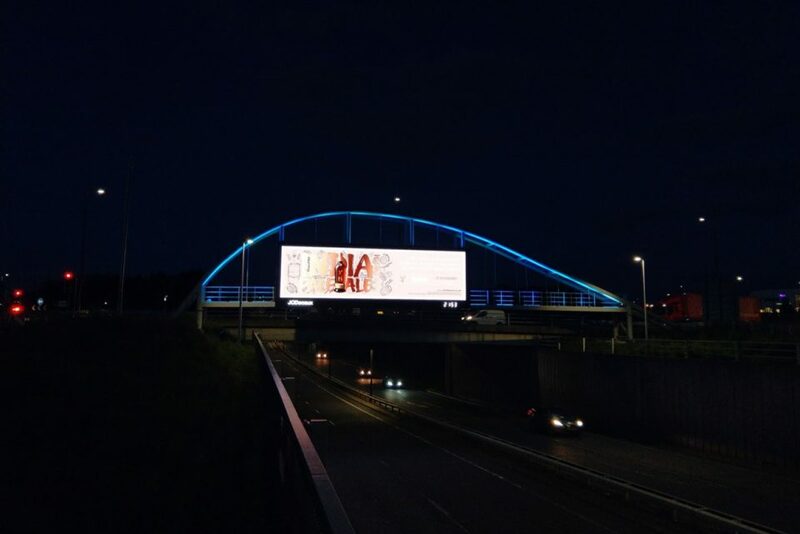 JCDecaux launched a new premium, state-of-the-art digital superstructure, The Edinburgh Arch in May 2017 and have subsequently further improved the site with the addition of RGB lighting. 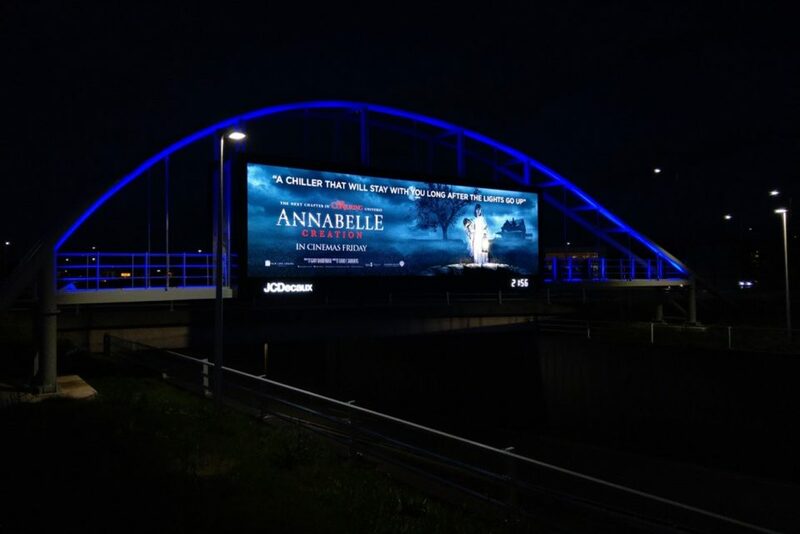 Situated at the Gogar Roundabout, this large-format roadside location features two 41 square metre screens set into a striking arch structure. 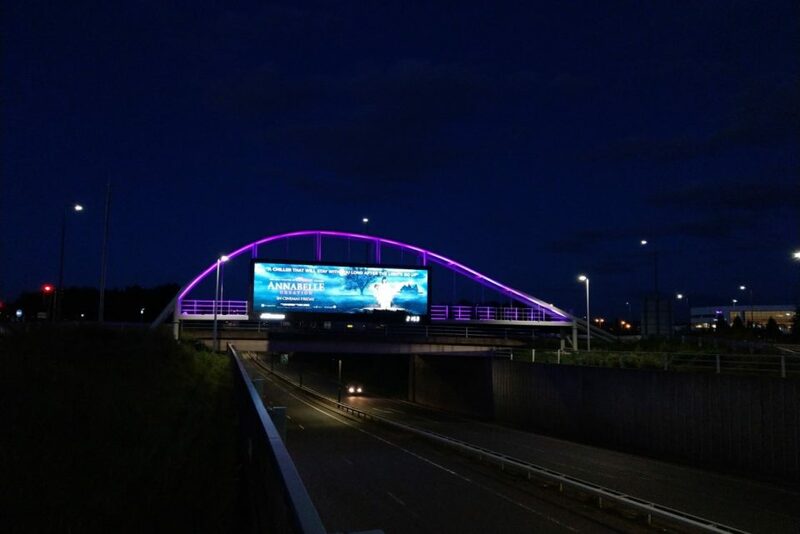 The entire site has been further enhanced with RGB lighting for the arch, consisting of 16 RGB floodlights all controlled with the innovative amBX system. 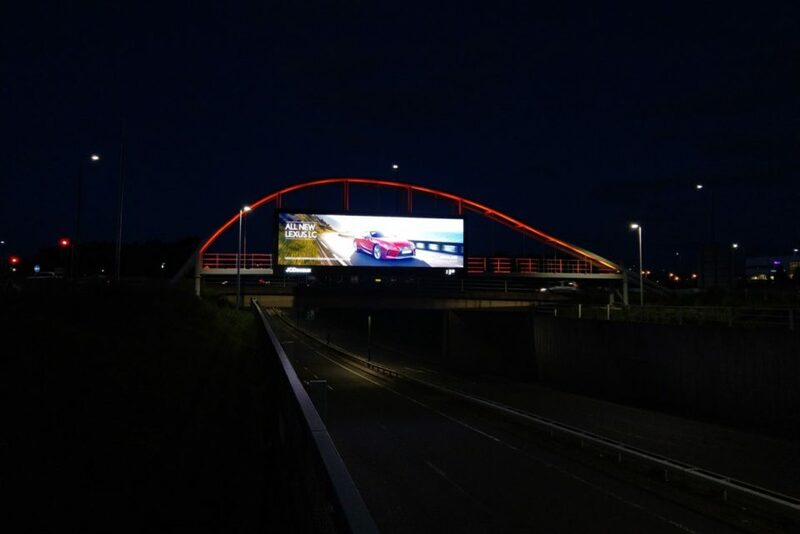 Before the installation began our engineers used Dialux to produce renders to accurately simulate what the lighting would look like, including the optimum position for the floodlights to ensure bright, even illumination. The result? The site has become even more impactful, elevating the arch from an iconic advertising site to a stunning architectural feature as well.